When your immune system is weak, you are at an increased risk of developing pneumonia. Older adults who contract this infection of the lungs are more likely to develop complications than younger people. 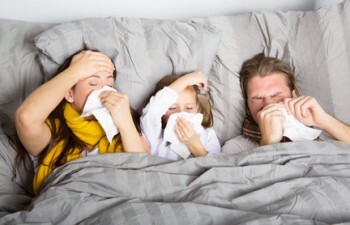 For example, seniors who develop pneumonia are at greater risk of heart damage as the inflammation from the lungs spreads in their chest cavity, lung abscesses and scars, and pleurisy.2 Fortunately, a research team from Finland has discovered that older adults who boost their blood levels of vitamin D reduce their risk of developing pneumonia significantly. The scientists from the University of East Finland compared the blood levels of vitamin D in 1,421 adults whose average age was 62.5 years, with the incidence of pneumonia in the same subject pool. The researchers found that people whose vitamin D level ranked in the top third of the data pool were 2.5 times less likely to contract pneumonia than those whose levels were in the bottom 30 percent of the subject pool. Since Finland is in the northern latitudes, the people have very little exposure to sunlight during the winter months, which makes vitamin D deficiency a public health issue. The main way your body obtains vitamin D is by the absorption of sunlight by the pigment in your skin, which is then converted into the vitamin. Some foods that contain this vital nutrient include fatty fish, fish liver oil, and fortified milk and dairy products. Since most people do not have enough of these dietary sources of vitamin D in their daily menus, the best way to ensure you maintain the optimal amount of this immune boosting nutrient is to take a supplement. If you are looking for a specific recommendation, check out our top vitamin D supplement picks. 1Aranow, C. Vitamin D and the immune system. Journal of Investigative Medicine. 2011. 59(6): 881–886. 2American Lung Association. Understanding pneumonia. n.d. Retrieved from http://www.lung.org/lung-disease/pneumonia/understanding-pneumonia.html.